(CN) – A new study says endangered owl species in Northern California are being exposed to rat poison used on illegal marijuana farms. Some scientists believe that without regulation, the recent legalization of marijuana in the Golden State might make things worse for Northern spotted owls and barred owls, whose habitats are already threatened. The study, released today in Avian Conservation and Ecology, shows the results of a study on nearly 100 owls in Northwest California. Seven out of the 10 Northern spotted owls tested had rat poison in their bodies, as did 40 percent of the 84 barred owls tested. The study was led by the University of California, Davis and the California Academy of Sciences, and draws on the research of Mourad Gabriel, the study’s lead author. Gabriel’s studies in previous years linked rat poison used in marijuana farms to the deaths of fishers, a small weasel-like mammal in the region. “When you have thousands of unpermitted grows and only a handful of biologists that regulate that for multiple counties, we’re deeply concerned that there aren’t sufficient conservation-protective measures in place,” Gabriel said. Gabriel has appeared in numerous media outlets in recent years, raising the issue of the environmental impacts of marijuana grows in the region. Long before California voters approved legal marijuana last year, marijuana grow operations have existed in the northern part of the state, both illegal and medicinal. The owl study encompasses Humboldt, Mendocino and Del Norte counties. Humboldt and Mendocine are part of what is called the “Emerald Triangle,” known for its marijuana production. 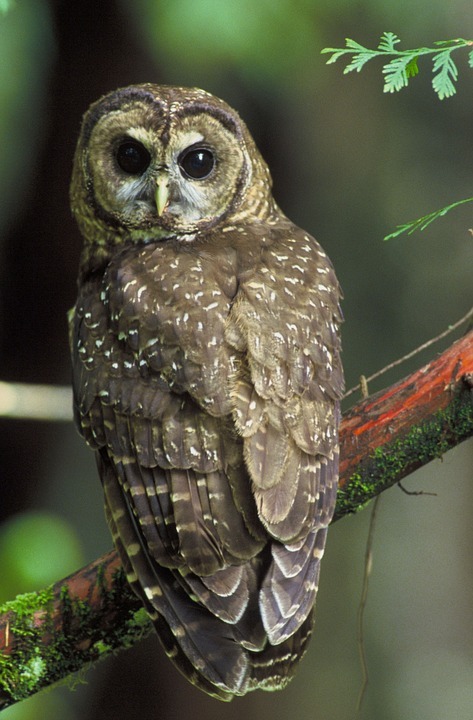 The study is the first published account of how anticoagulant rat poison affects the threatened Northern spotted owl. Anticoagulants prevent animals from recycling Vitamin K, which causes blood problems that can lead to internal bleeding. Rats are a large part of owls’ diet in a region where billions of dollars worth of pot are grown. Craig Thompson, an ecologist with the U.S. Forest Service, called the poisoning of animals by marijuana farmers “a massive problem” in an article in The Atlantic last year. The protection of owl populations in the Pacific Northwest has been a controversial topic and the subject of extensive litigation. Northern spotted owls have been in the news and in courts for decades because they cannot survive without old-growth forest, a prime target for logging companies. Just this week, a Ninth Circuit panel ruled the government can kill barred owls in order to try to save the spotted owl, in a challenge brought by environmental groups against the U.S. Fish and Wildlife Service. Barred owls are protected under the Migratory Bird Treaty Act, and are not native to the region. They are known to be more aggressive than the federally protected spotted owl, and reproduce more often. The main goal of the Migratory Bird Treaty Act, the panel found, was to prevent a species from being exterminated, and not to prevent all killing of protected birds. Friends of Animals brought a separate suit last June in Oregon, blaming Fish and Wildlife for allowing timber companies and the state Department of Forestry to kill or harass spotted owls.